Those early days of independence, when you have gotten your driver’s license and finally can stay out a bit give teenagers a rush. I remember the first time I was allowed to stay out to midnight while driving. There were lots of extenuating circumstances. I was 16 and had been pretty responsible. Our church was hosting an event that brought in my camp friends from around the state. A friend was having a party — her parents would be around. My younger cousin Lisa would go with me. The fear of not being home at midnight was real too. We left Becky’s in time to drop friends from Nashville at their hotel and headed to the cousin drop. It started raining lightly and the roads were a bit slick. 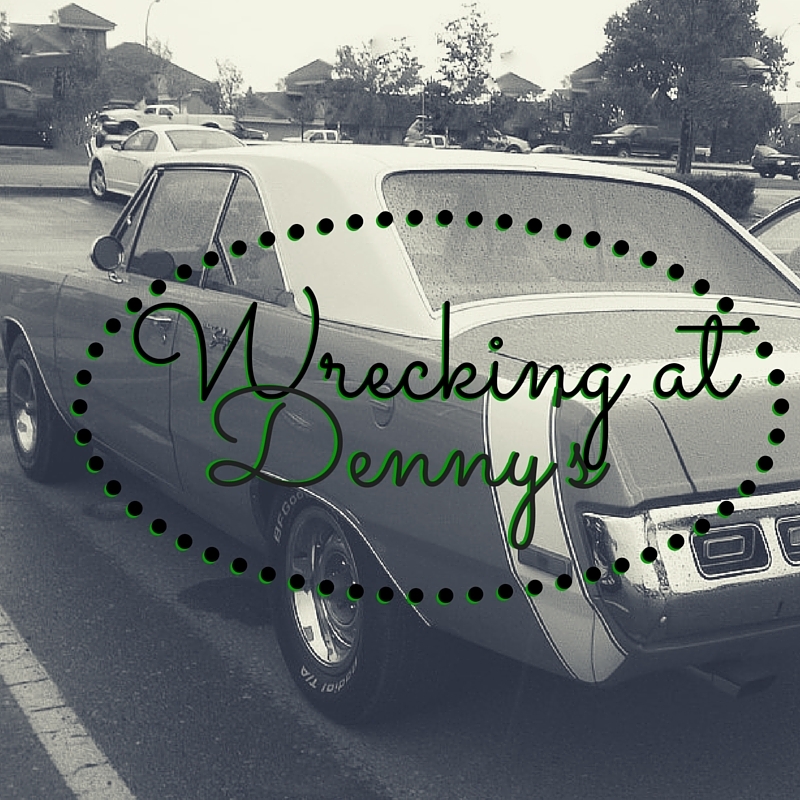 I was paying attention to some other cars on Summer Avenue when I saw a car barrel out of a Denny’s. By the time the car hit us on the passenger’s side at the post between the front and back seats, Lisa was headed my way. The impact caused us to do doughnuts in the middle of the busiest street in our part of the world and I was just trying to not make the night any worse! We finally came to a stop and seriously, Lisa was on top of me! Both of us were shaking like crazy. We were asking if each other was okay when the guy got out of his car cursing. Neither of us wanted that midnight visit to Denny’s. As we got out of the car, I noticed there were several people at the window watching us. Lisa ran inside to call parents, letting them know there was no way we could get home on time. I’m pretty sure she told the story in incredible detail cause it seemed like I was standing out there on summer, looking at a guy with scars for HOURS on my own. 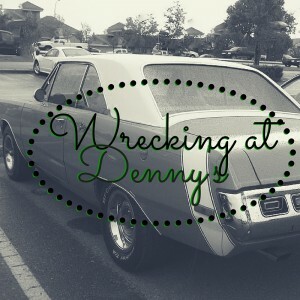 Thankfully, the folks at Denny’s called the police before she got to the phone and the cops (at least to my memory) arrived before Lisa came back outside. They told me I needed to move the car and I thought I’d die…. the car looked horrible and the wheel-well had some shrapnel that made a horrific noise. They just kept waving me to a small side street. I was a bundle of nerves when I parked. Lisa’s mom appeared out of nowhere. With the rain, the policeman opened the door to his cruiser so I could sit in the back as he took all the info down. I kept my feet outside though cause the other driver sat on the other side of the backseat and I was totally intimidated. My descriptions of the other driver may be more the memory of a 16-year-old in trouble and scared than reality but I remember him being tall, having big shoulders and arms and a big ol’ scar on his face. I felt certain he had been drinking. I remember Lisa saying everyone was on the way and it was okay we’d be late. Sitting in that police car, I felt older than I ever had and yet younger at the same time. It seemed like the police considered me a grown up. They were treating me and the other driver the same. I was expected to give my statement, my information, etc…. but I don’t think I’d ever felt that vulnerable either. I totally couldn’t process what all was happening despite having had classes on what to do in the event of an accident. My dad got there as the policeman wrapped up his report. And that’s when things got worse. Dad didn’t bring anyone else with him and after he looked at the car and messed with it a while, he decided we’d just drive it home til he figured out what to do. I was sure I could drive the other car home, but dad said I had been driving the Dart and I needed to drive it home. Even today, my ears hurt and my skin crawls at the thought of it! Dad messed with the car some more and I feel certain the noise stopped but all the sounds of the night were ringing in my head anyway. The drive home which would normally take 5-10 minutes was at least 30 minutes long! I couldn’t imagine how I was supposed to sleep. It was horrible. Once I finally got to sleep, it was almost time to go to church and since we were down a car, we all needed to go together. And no doubt the wreck would be the talk of church! 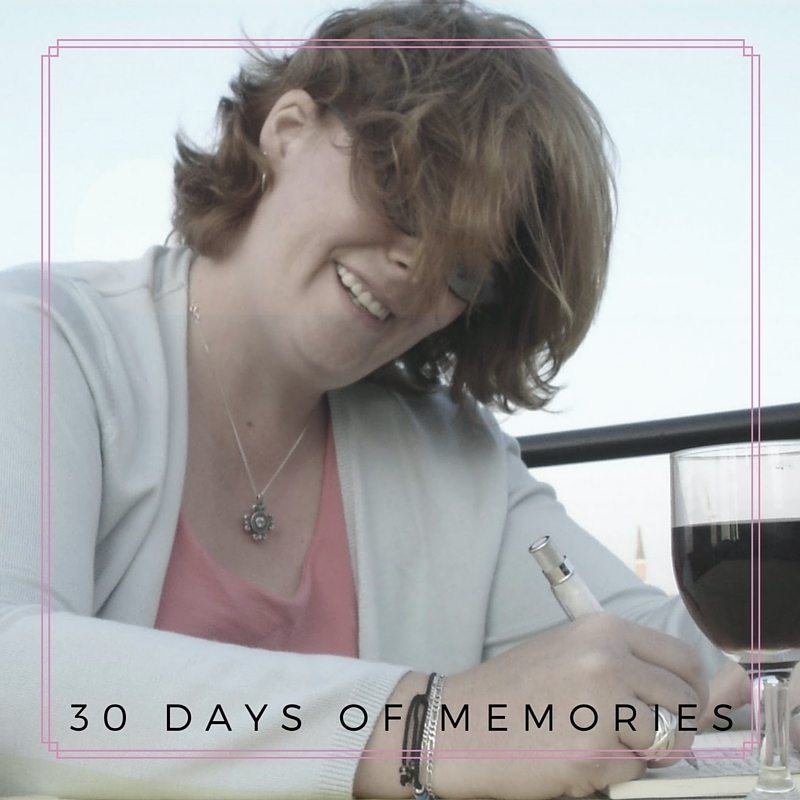 The Month of Memories is 2/3 done! Just realized that we are now officially two-thirds of the way through the series on various memories, stories, etc. Probably need to look through the list I made a the start and see what really needs to be written. I have been just sort of going with the flow so far.